Kevin Kalmbach is a master solutions consultant specializing in data center architecture at Hitachi Vantara Federal. 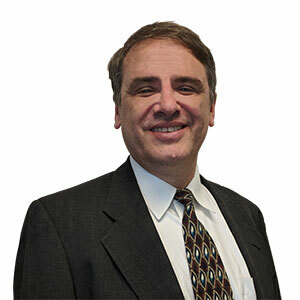 He brings over 20 years of experience in the federal industry and is known for his innovation in addressing dynamic and emerging business problems. His areas of expertise lie in assessing emerging technologies, data security, archiving, and enterprise data management. Kevin is responsible for designing strategic solutions for customers based on their unique technical, financial and political requirements. Prior to Hitachi Vantara Federal, Kevin was part of the Mid-Atlantic district of Hitachi Vantara where he specialized in converged computing platforms and content/archiving. He also spent several years as lead architect for infrastructure investment and planning at the Internal Revenue Service, and as the principal technologist for public sector hardware at Oracle (focus on data management, SPARC supercluster and big data). Earlier in his career he held the role of advisor to the Chief Technology Officer of StorageTek and Sun Microsystems for over a decade. Kevin earned a BS in Computer and Information Science from the University of Maryland and an MBA in Technology Management from the University of Phoenix. He is a U.S. Navy veteran of 22 years combined service.